The legislature has made obtaining a divorce easier. In 2016, the legislature has made obtaining a divorce easier. Grounds such as adultery or mental cruelty are no longer to be alleged or proven. Illinois law, like so many other states, recognizes the no-fault ground based upon irreconcilable differences between the spouses. 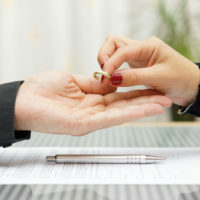 The only requirement for obtaining a divorce is that the spouses live apart [separate lifestyles] for at least six months preceding the issuance of the divorce decree. This means that for a recently separated couple, the divorce process could take at least 6 months to be finalized, but if there are contested issues related to custody, support, or property division, it could take even longer. For any further legal inquiries regarding divorce or family law, do not hesitate to contact Johnson Westra Broecker Whittaker & Newitt, P.C. for a phone consultation.